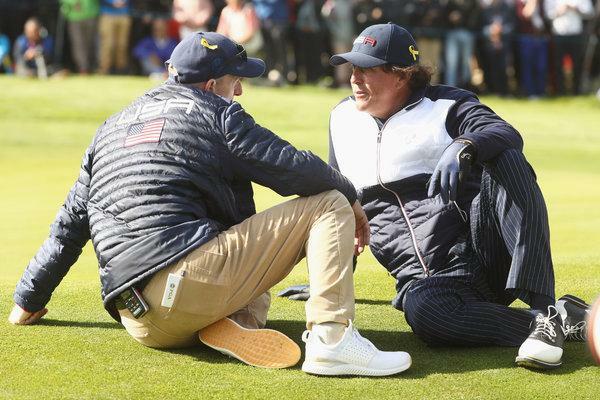 ST-QUENTIN-EN-YVELINES, France — Patrick Reed was Tiger Woods’s 13th Ryder Cup partner, and the 2018 United States captain, Jim Furyk, who had been one of the previous 12, felt optimistic about the pairing’s prospects for success. As Furyk explained, Reed relishes performing in front of large crowds and Woods attracts fans like lint. 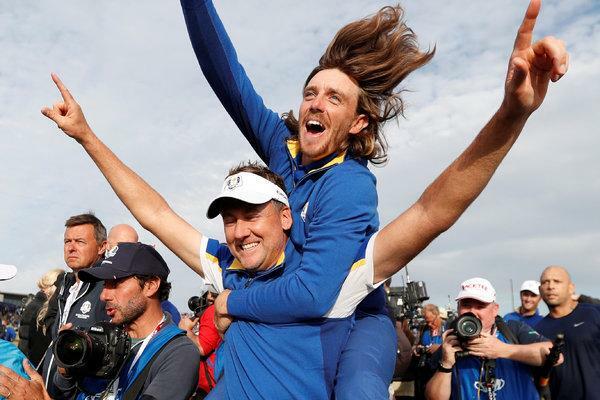 But when Woods and Reed teed off in the final four-ball match of the first day of the Ryder Cup on Friday morning, against Europe’s Tommy Fleetwood and Francesco Molinari, they played in an atmosphere that felt wholly separate from the festival of golf that was off to a rollicking start elsewhere on the grounds of Le Golf National. 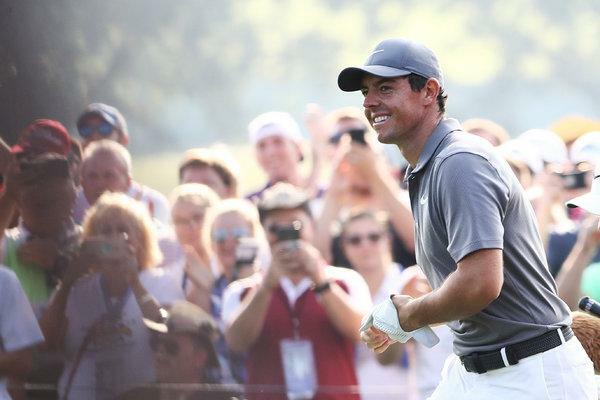 While singsong chants of “Olé, Olé, Olé, Olé,” and cheers of “U-S-A!” erupted elsewhere on the course, the spectators following Woods’s match seemed to have eyes only for him, peppering the air with cries of “Tiger” or “Tigre,” and shouting professions of their love of and their allegiances to … Woods. So riveted were the fans to Woods, Reed might as well have been Keith Richards sharing a stage with Mick Jagger. The crowd dynamic felt like the final round of the Tour Championship in Atlanta, which unfolded like an 18-hole coronation for Woods — not a team event. In seven previous Ryder Cup appearances, Woods was 5-8 in four-ball matches, and he owns a losing record over all. But as an assistant captain for the American squad in 2016 — a role he filled while sidelined with a bad back — Woods, 42, developed a rapport with younger players like the 28-year-old Reed. The bonds formed then figured to pay off handsomely this week when Woods returned to the playing lineup. Instead, it was the same old story for Woods, who failed to find a rhythm with Reed in a 3-and-1 loss to Molinari and Fleetwood, the only defeat the United States endured in the four morning matches. With Woods sitting out the afternoon session — the first time he has missed a match on the competition’s first day — Europe swept the four alternate-shot matches to take a 5-3 lead. 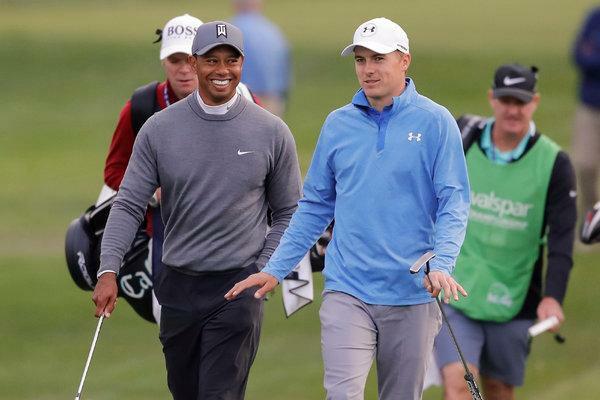 Did Woods’s back stiffen in the morning cold, precluding him from playing in the afternoon? Did Woods’s grueling schedule finally catch up to him after 17 competitive rounds in 37 days in five cities on two continents? 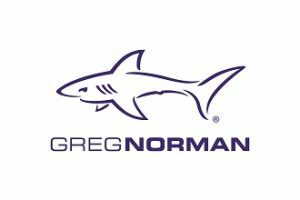 Furyk has enough confidence in his star pairing of Woods and Reed, whose success in this event earned him the nickname Captain America, to send them back out Saturday morning in a four-ball rematch against Molinari and Fleetwood, who dominated Jordan Spieth and Justin Thomas in their afternoon match. On Friday, Woods and Reed showed little sign of the chemistry that was palpable when they were mentor and student. 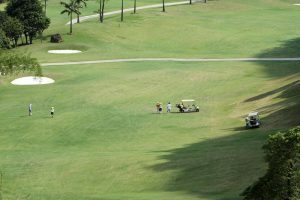 They were in sync, but not in an advantageous way; they generally played the same holes well, and when that happens in a four-ball match, it registers as an echo, not a salvo. Fleetwood and Molinari jumped out to an early lead, on a Molinari birdie on the first hole. Woods then hit his ball inside five feet on the par-3 second and squared the match when his birdie attempt was conceded. 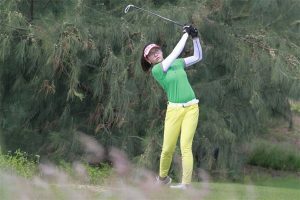 The match was deadlocked after eight holes, but instead of the anticipation rising, the energy levels fell like a bad soufflé. 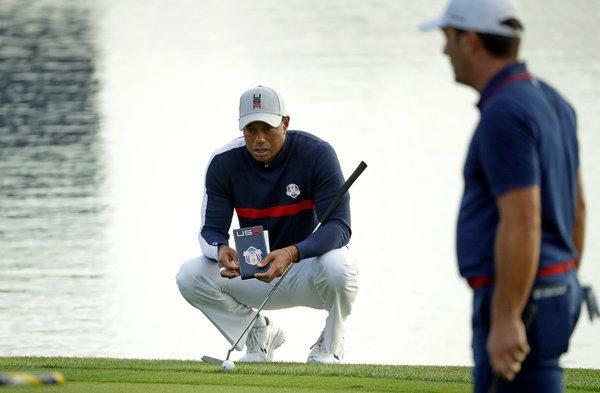 On the par-5 ninth, Woods gave the United States its first lead with a conceded five-foot birdie. After Woods found the rough with his drive on No. 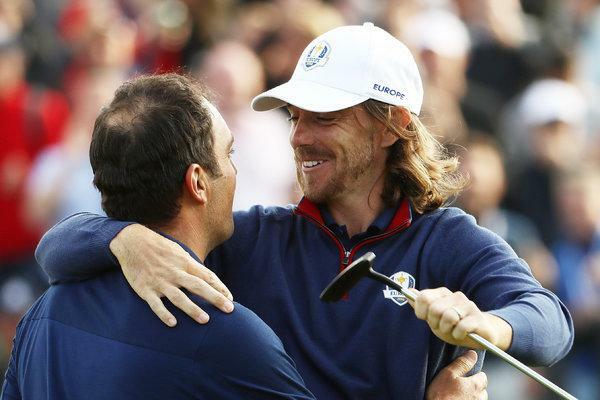 10 — a familiar sight on this day — Reed came to the rescue: He holed a chip to extend the Americans’ lead to 2-up. At that point, the momentum should have been on the Americans’ side, but somehow the Europeans wrested it away. Molinari, who clinched the British Open title while paired with Woods on the final day, made putts to win the 11th and 12th holes. “As soon as Fran holed that putt on 11, things changed straightaway,” said Fleetwood, who then made clutch putts to win the 15th and 16th. On the 15th hole, after Woods found the rough with his drive, he sidled up to Reed, who was in the fairway, and communicated his intentions to lay up. Woods did his part; he hit his third shot to eight feet. But Reed responded by dumping his approach in the water — the hazard that Woods had laid up to avoid. 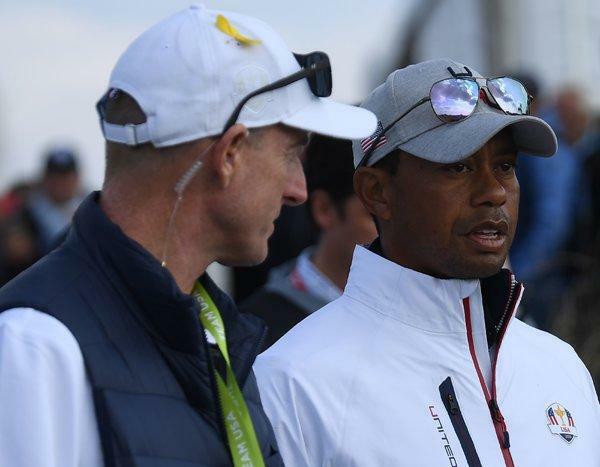 “And then Tommy buried it from off the green,” Woods said, referring to Fleetwood’s long birdie putt. Five days earlier in Atlanta, Fleetwood had stuck around after his round to watch Woods clinch his 80th P.G.A. Tour win. “You just literally had to get lost in that moment,” he said Tuesday.